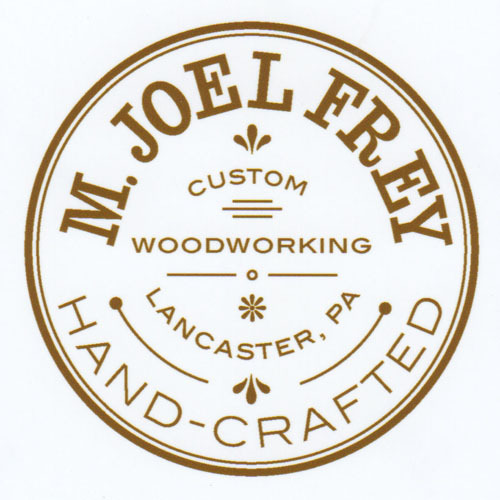 M. Joel Frey creates beautiful custom made furniture from wood reclaimed from barns in Lancaster County, Pennsylvania. 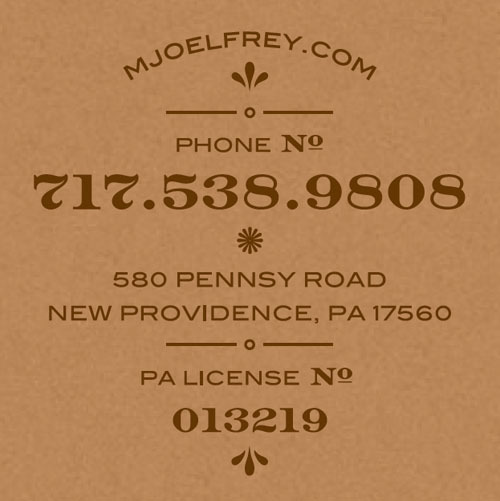 The logo and business card, designed with Leslie Mann, pays homage to the historic aspect of furniture- making in Lancaster County, a region with a long tradition of artfully made furniture. 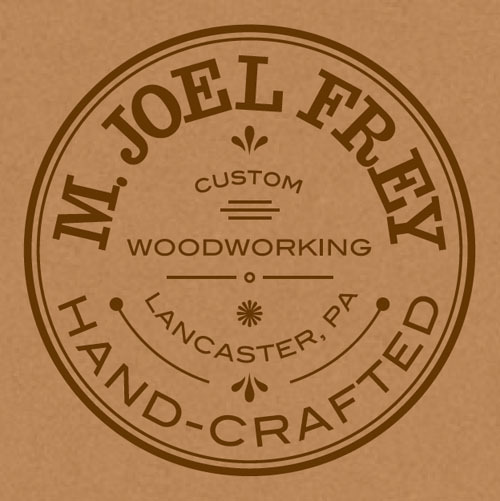 While the style of Joel’s furniture is simple and rustic, it is made with a precise eye to detail using traditional tools and techniques.